Format Factory is a freeware and multifunctional media converter. 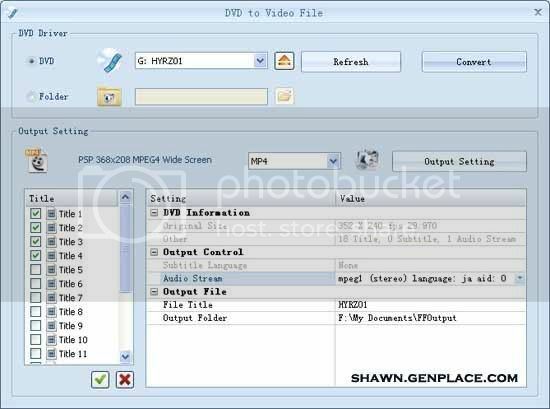 In term of video conversion, it support to 3GP, AVI, MP4, MPG, WMV, SWF and FLV. On the other hands, the images conversation support to JPG, TIF, BMP, ICO, GIF, TGA and PNG. Lastly, the software also support audio conversion to Mp3, Wav, AAC, Wma, AMR and OGG. 1. Repair damaged audio and media file. 2. Reducing Multimedia file size. 3. Support iphone, ipod , multimedia. 1 Fix the problem of Apple’s MP4 time is twice as long as the original. 2 Improve the configuration of “All to Picture”,now it can be saved as “All to Custom”. 3 Added several profiles of some latest devices. 4 Fix a bug that fail to clip video when adding watermark. what is password for rar file?